Whether it’s your AC unit that is blowing warm air, a furnace that frequently turns on and off, or a leaky faucet, the team at Ace Hi Plumbing, Heating & Air knows the ins and outs of home systems and can quickly and efficiently diagnose and repair the problem. An efficient home is a happy home, right? Whatever your needs are, you can rely on us to provide the best HVAC service available in Loveland. Ace Hi Plumbing, Heating & Air has over 20 years of HVAC and plumbing experience. 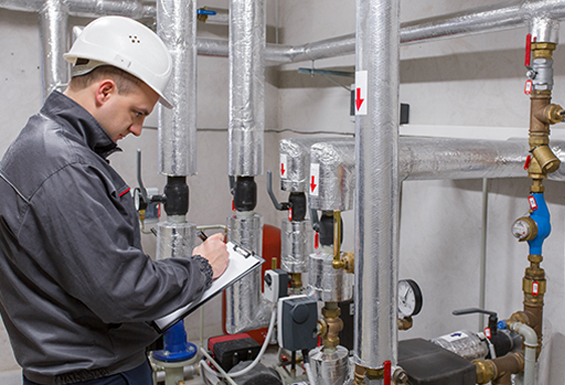 Whatever your needs, we have the knowledge and the technology to provide exceptional plumbing and HVAC service. For improved air quality, lower energy costs, and an overall efficient home, work with a team of technicians who you can trust. Air conditioning: Refrigerant, compressor, coils, etc. Heating: Pilot light, duct work, blower motor, etc. Plumbing: Sewer and drain cleaning, excavation, faucet and sink, etc. From the duct system to the start/run capacitor to the condenser, if something isn’t working, or if you’ve noticed that the air quality is poor, you can count on us to provide quality service. 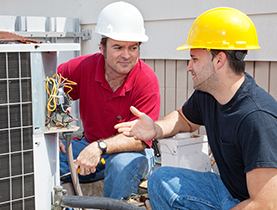 When your furnace or other heating system isn’t working, you need HVAC service fast. If you wake up to a cold house, contact Ace Hi and we’ll be there to fix what’s wrong. From clogged toilets to a backed up septic tank, plumbing systems can take a beating. Ace Hi has innovative technology to ensure we quickly find the problem and fix it so you can get back to living. Schedule an estimate today for reliable HVAC service in Loveland, Colorado.